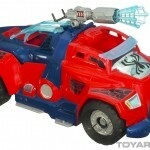 The ToyArk has been sent a few official pics and a bio for the Spider-Man Triple Battle Truck. 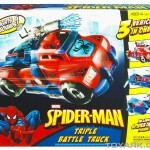 You and your Spider-Man figure are ready to track down your toughest foes — no matter where they run! This cool vehicle starts out in battle truck mode, but you can easily convert it to a fighter jet vehicle or even an attack boat vehicle! From thrilling jet engine sounds to ferocious speeding boat sounds and cannon blasting sounds, each vehicle activates new sounds to really intimidate your opponents. As the engine light glows, you can activate the 11 heroic phrases to get yourself and your figure ready for action and let your enemies know that you’re ready and raring to chase them down. When you reach them, launch your web missile accessory and the battle is as good as won! 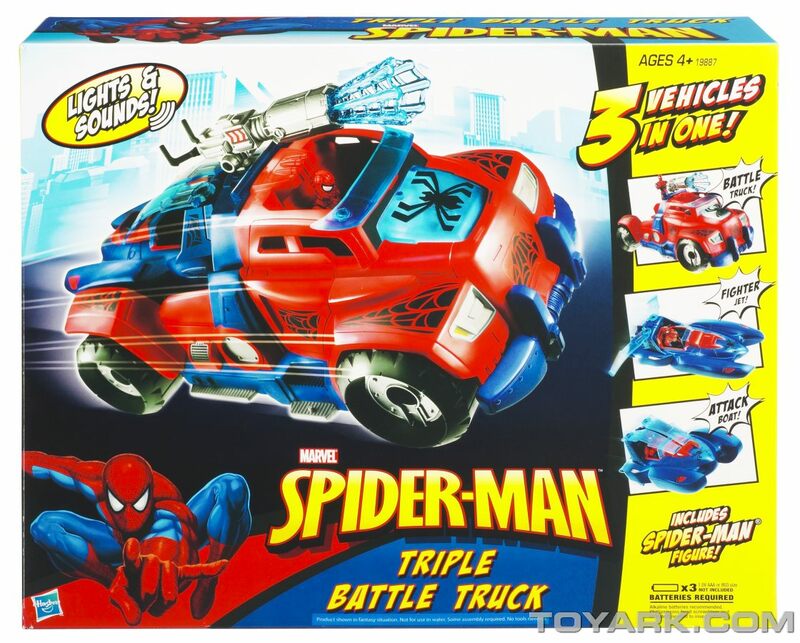 Vehicle includes a Spider-Man® figure and firing web missile accessory. A few photos can be seen by clicking the headline of the story. 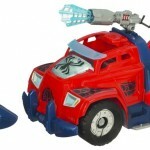 I bet this would make an awesome M.A.S.K. kitbash. Aside from that, I just don't see Spider-Man doing this. It feels more like a Batman thing. That's exactly what I thought when I first saw it. Actually, with all the Spider-Man and Iron Man vehicles they're putting out, plus the Steel Crusher from ROC, I bet you could make some pretty cool modern M.A.S.K. vehicles with a little work. 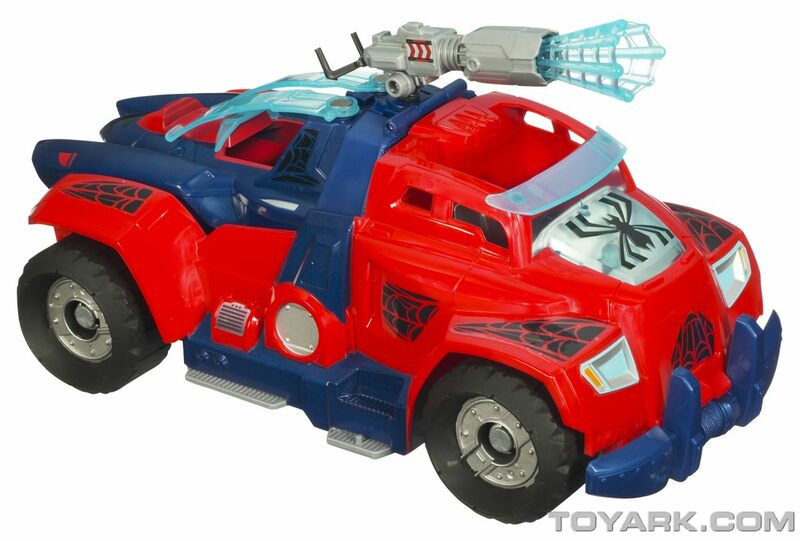 I'm getting Spider-Mobile flashbacks from this thing. And I know it's been mentioned, but why does Spider-Man need this?